​Safety is at the top of our priority list. The SeaVeyors Team adhere to all WorkSafe regulations and protocols of the Canadian Environmental Assessment Agency, Fisheries and Oceans Canada and BC Ministry of Environment. Our Divers and associates are professional and experienced in their related fields of expertise and follow all WorkSafe regulations. SeaVeyors environmental services are performed in accordance with all regulations and protocols of the Canadian Environmental Assessment Agency, Fisheries and Oceans Canada and BC Ministry of Environment. 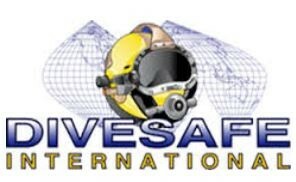 DiveSafe International is the Canadian leader in commercial diving training. Our divers have completed a number of DiveSafe International commercial diving certification courses.